St. Martin's Press, 9781250032386, 448pp. 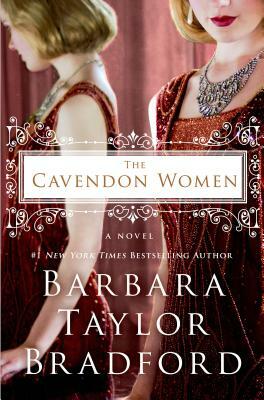 Cavendon Women, the stunning sequel to Barbara Taylor Bradford's Cavendon Hall follows the Inghams' and the Swanns' journey from a family weekend in the summer of 1926 through to the devastation of the Wall Street crash of 1929. It all begins on a summer weekend in July of 1926 when, for the first time in years, the earl has planned a family weekend. As the family members come together, secrets, problems, joys, and sorrows are revealed. As old enemies come out of the shadows and the Swanns' loyalty to the Ingham gets tested in ways none of them could have predicted, it's up to the Cavendon women to band together and bring their family into a new decade, and a new way of life. BARBARA TAYLOR BRADFORD was born and brought up in England, where she started her writing career as a journalist. She has written twenty-nine international bestsellers. The Cavendon Women is her thirtieth novel. In 2007 Queen Elizabeth awarded her the OBE for her literary achievements. She lives in New York with her husband, television, and film producer Robert Bradford.